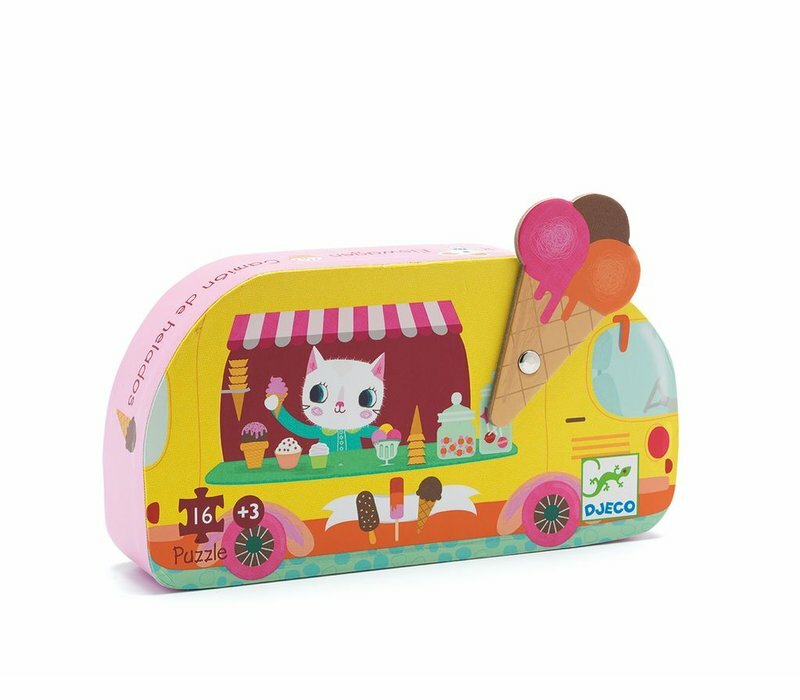 Silhouette puzzles - Ice cream truck. Who wants ice cream? This cute 16 piece puzzle is displayed in a fun and colourful ice cream truck with a moveable large ice cream on top. Suitable for ages 3+ years. Puzzle measures 25 x 25cm.